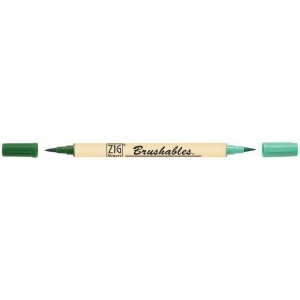 Two color tones in one marker! Great for layering effects with two tones of the same color housed in one barrel with brush tips on both ends. * Each marker contains a ZIG memory system color on one end with the other end being a 50% tint of the same color. * Water-based pigment ink is photo-safe lightfast odorless xylene and acid-free.